I'm used to films warping my perception of time, but even so I was taken aback when the words “A Film by Jia Zhang-ke – Mountains May Depart” appeared on screen after what had felt like half an hour of the Chinese director's new film. It turned out to be a very late title card rather than a very early cut to the end credits, and it only brought an end to the first segment of Jia's triptych, with the director again taking a structurally bold approaching to exploring life in contemporary China. While A Touch of Sin told three distinct stories, Mountains May Depart tells one story over the course of three decades, beginning in 1999 and focusing on a love triangle between singer Tao Shen (Zhao Tao), wealthy and arrogant capitalist Jinsheng (Yi Zhang) and humble mine worker Liangzi (Liang Jin Dong). The second segment picks up the story in 2014, when we see that Tao's choice of husband hasn't worked out very well for anyone, and then Jia jumps ahead to Australia in 2025, where the narrative shifts to her son. As the years go by the screen gets wider, from 1.33 in 1999 to 1.85 in 2014 and finally 2.35 for the futuristic third segment, an aesthetic approach that reflects the gradual widening of the film's scope and the growing distance (emotional and literal) between the characters. It's a daring approach that will prove to be a stumbling block for some viewers, as the film definitely loses something the further it gets from the intimacy of the love triangle that it starts with. There is a lot in Mountains May Depart that the viewer could find fault with, from the way Liangzi is abruptly written out of the film, leaving it feeling frustratingly lopsided, to the climactic section of the film, which admittedly suffers from some stiff performances and clumsy line readings that betray Jia's inexperience at directing in English. It would be easy to focus on these flaws, but instead I was struck by the ambition and sweep of Jia’s vision. This is a film about family and freedom, about culture and capital, about history and the future, and he doesn’t let the allegorical nature of his story structure overwhelm the personal stakes for the characters. As ever, his filmmaking is elegant and full of resonant images – a wedding invite left on a table; a mother sharing a bittersweet meal with her son; an angry man isolated behind a language barrier of his own making who owns dozens of guns but “has nobody to fire them at.” Above all else, the film is a fantastic showcase for Jia’s wife Zhao Tao, who gives her finest performance here. She is the film’s emotional anchor, and while her absence from the third act is disappointing (despite a good performance from Sylvia Chang in a kind of surrogate role), her return contributes to a deeply moving closing scene that is every bit as memorable as the dazzling opening. Go West, indeed. Jia Zhang-ke came to the London Film Festival to present his new film, but he was here for another reason too, being the subject of a documentary by Walter Salles. Jia Zhang-ke: A Guy From Fenyang follows the director as he revisits his old haunts and the places where he shot his films, bumps into old friends and acquaintances and contemplates his career and his fractious relationship with the Chinese authorities. Salles doesn’t bring much of a directorial perspective to the film, but it does benefit from some judiciously chosen clips and an elegant rhythm, as well as a sense of intimacy that distinguishes it from most other recent filmmaker documentaries. It’s a thoroughly engaging picture with Jia proving to be an affable and humble guide, and it occasionally provides some interesting insights. A fascinating portion of the film is devoted to the filming of his remarkable 2006 film Still Life against a backdrop that was changing even as they shot, while the most compelling portion comes late in the film as Jia discusses his father and the devastating legacy of the Cultural Revolution, which meant his father’s pride in his son’s work was always mixed with a fear of the consequences that he might face. A Guy From Fenyang was filmed in the build-up to the release of A Touch of Sin and it ends on a disconsolate note, as the denial of a commercial release for the film in China leaves him wondering if he can even continue. Of course, we’ve already seen his subsequent film, and watching this documentary there’s little doubt that Jia Zhang-ke will continue to make provocative, revealing films about contemporary China and the lives of ordinary people living in it for as long as he possibly can. Another filmmaker being honoured in documentary form this year is Ousmane Sembène, with Sembene!, a film by Samba Gadjigo and Jason Silverman, accompanying the new restoration of the African director’s superb 1966 film Black Girl in the programme. Black Girl is one of three Sembene films that I’ve seen, along with Xala and Moolaadé, and I know very little about his body of work beyond those films, so I was keen to learn more about the father of African cinema. Sembene! mostly sticks to the established director biography template – chronological details, clips, talking heads – and as a result feels a little staid, but it is given a personal slant by being co-directed and narrated by Gadjigo, a friend and collaborator of Sembene's for the last 20 years of his life, who has now taken on the task of looking after the director's legacy. The portrait of Sembene that emerges through the film is a rebellious and independent man who was fiercely devoted to his craft, often to the detriment of his family and friendships. “I would sleep with The Devil to make a film” we see him saying during the film, but the film can only touch upon this aspect of his personality in a shallow and fleeting way. There are some interesting revelations, such as the fact that he was almost blind when he made his great Moolaadé (which I still found deeply upsetting and potent in just the couple of extracts featured here), but my biggest takeaway from Sembene! was an overwhelming desire to see the rest of this man's films. 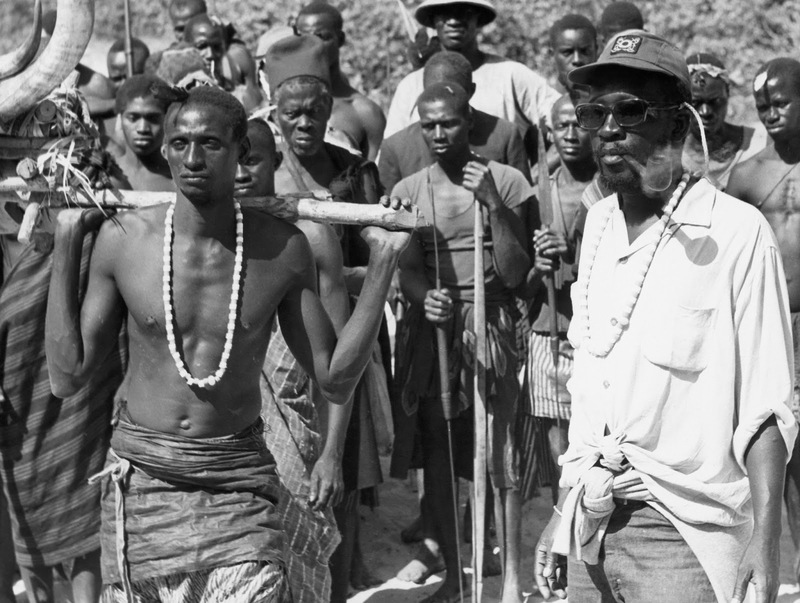 There is currently an major project underway to restore and re-release all of his films – badly needed, as Sembene! 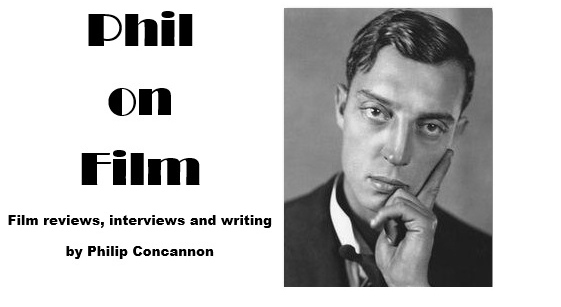 opens with the horrifying sight of decaying film cans – and hopefully there will be a full season of his films coming soon. Even better, how about a celebration of African cinema in general? It still feels like an area of the world that I am disappointingly ignorant of in terms of its cinematic output, and I'd love to have the opportunity to change that. And I suppose I should make some mention of the festival’s official opening night film while I’m here. I’ve heard a lot of talk in recent weeks about how Suffragette is an important film and a story that deserves to be heard – “The Time is Now,” etc. – but I always get a little suspicious when I’m repeatedly told that a film is ‘good for you’ rather than simply: ‘it’s good’. 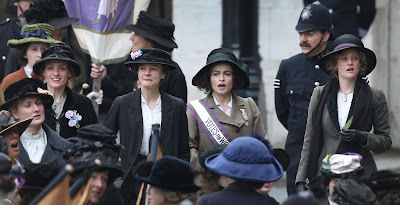 Suffragette is not a particularly good film or a particularly bad one – it's just determinedly average throughout, and the most frustrating thing about a film telling such an emotive story is that it feels too often like screenwriter Abi Morgan and director Sarah Gavron are going through the motions rather than really being driven by a sense of fire and urgency. The film follows the gradual emboldening and political awakening of Maud (Carey Mulligan) as she suffers through increasing degrees of drudgery, misery and pain, but the film's deck-stacking – leading to a dreadful scene involving Maud's son – works against it, and Mulligan's committed but unimaginative work doesn't give us a lot to connect with. Things pick up a little when the film moves the action to Epsom late on and Emily Wilding Davison takes centre stage, not least because she is played by the perennially undervalued Natalie Press, an actress who can't help but bring a sharpness, interest and texture to anything she plays. I sat there wishing that she was our protagonist instead. Suffragette is this year's The Imitation Game; a watered-down and inoffensive film that will elicit a combination of moderately appreciative reviews and shrugs in the build-up to the Oscars. Shouldn't we expect and demand more than this? Something that feels just a little bit dynamic, bold and dangerous? A film that defies convention rather than meekly surrendering to it? Yes, we can take satisfaction that a film written, produced, directed by and starring women is being given a platform like this, but I hope people dig deeper into the London Film Festival programme to discover and celebrate female-directed films with genuine vision and artistry.